Do you want to make the most of a weekend in Oxford? Wandering the streets of Oxford is a very special experience for a first-time visitor or someone who has enjoyed the honey coloured stone and the dreaming spires on many occasions. There are so many things to see and do in Oxford, some are very much in the mainstream and others a little more off the beaten track. Although it might mean you spend a little more time that you may have intended in the hotel we would recommend the rather unique experience of staying at the Malmaison Hotel near the Oxford Castle. 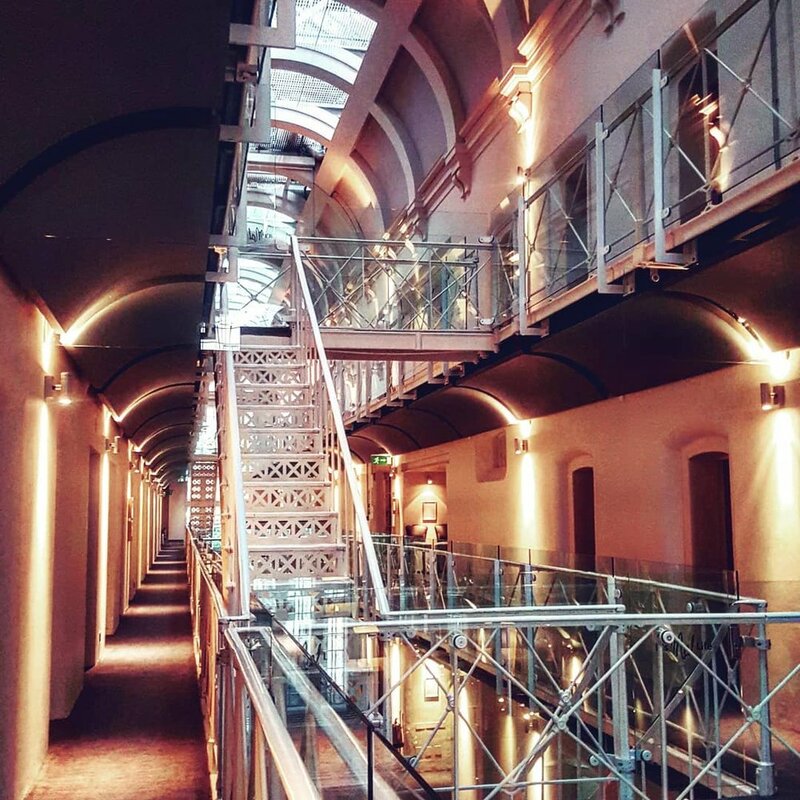 The hotel has been converted from a prison which makes for a cool stay. The Head of the River is a good choice for a traveller on more of a modest budget. The Fullers Pub and Restaurant offers stylish rooms with a lovely view of Christ Church Meadow and the River Thames. Oxford is a very walkable city and the best way of getting around, especially if you really want to discover the nooks and crannies of the area. We are going to get most of the classic sights out of the way today before a more 'normal' experience of Oxford on the Sunday. But first things first, coffee. If you are looking for the perfect cup of coffee then look no further than the Society Cafe in Oxford. They have a charming little Cafe where you can get away from the buzzing streets. Another good central spot for a coffee is the laid back The Missing Bean, an independently owned and run espresso bar. The city and Oxford University go hand in hand together and it is imperative that you explore one of the colleges during your 48 hours. Our favourite, and most people's favourite college to see as a visitor, is Christ Church which has been featured in movies such as Harry Potter and The Golden Compass. You can see the Christ Church Quads, Cloister, Hall Staircase, Hall and Cathedral on the tour for between £8 and £10. See the full ticket prices and book them in advance on the Christ Church College website here. After a good look around the college make sure you take the exit onto St Aldate's Road where you can find the little shop dedicated to Lewis Carroll and Alice in Wonderland. No doubt at this point you will be looking for a spot of lunch and there are a number of good places to have lunch in central Oxford. Personally, we would head for the covered market and explore the different options there. If you want your lunch with a view why not head to the top of TVC (The Varsity Club) and enjoy the perspective of the city from above. The walk up the stairs to the top will literally take your breath away, only equalled by the view when you get there! After you have been fully recharged over lunch it is definitely time to consider a stop over at one of Oxford's finest museums, and there are a number of good ones to choose from. Our first port of call would be the Ashmolean Museum which focusses on art and archaeology. It was the world's first University museum and holds a number of exhibitions over the course of the year. There is also a very good cafe and restaurant on the top floor. The Museum of Natural History is a tall, open building that houses a number of displays of animal skeletons and dinosaur bones. It is also where you can find more information about the dodo that featured in the aforementioned Lewis Carroll’s Alice in Wonderland. As you are here you may as well walk through to the adjoining Pitts River Museum which is packed with anthropological artefacts from various tribes around the world. Yes, back to the colleges. But this is something a little bit special. You will find that most of the college chapels have Choral Evensong performances which are free to attend. The best known is at Christ Church Chapel (which you may have already had a little look around), but there are also notable services you could attend at New or Magdalen College. They usually start at 6pm. 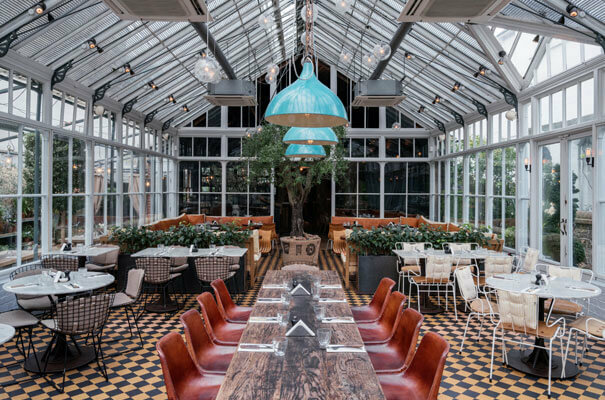 For a Mediterranean dining experience set in an iconic Victorian Glasshouse try Gee's - it is by far Jericho's prettiest restaurant serving up good food! We are also fans of The Vaults and Garden restaurant as it is another beautiful setting to eat. Although it might be a better option for a lunch as it tends to close at 6pm in the evenings. Book ahead here. Our other suggestion has to be the Cherwell Boathouse. Yes, a boathouse. This pretty Edwardian spot, where you can hire a punt for a floating picnic during the daytime (see more on that on Sunday), is undoubtedly one of the city’s quirkiest restaurants. It is particularly perfect in the summer where you can eat outside listening to the splashing punts while enjoying excellent cooking. Sunday is another action packed day to see the very best of what Oxford has to offer. We kick off with a walk along the Thames or in Christ Church Meadow, depending on your preference. 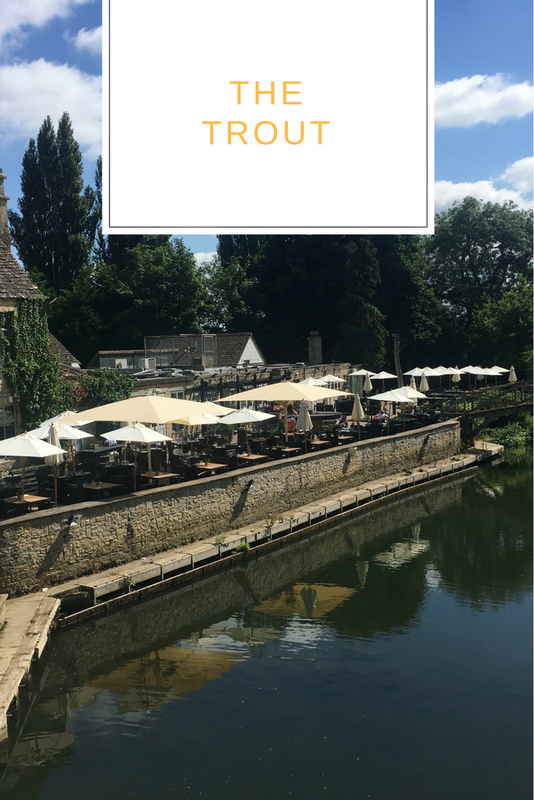 One of our favourite walks in Oxford has to be the walk from the station to the Trout along the riverside. You'll see the green Port Meadow, boats on the water, pass the Godstow Abbey ruins before sitting at the gorgeous pub that is the Trout for lunch. Unsurprisingly this walk is one of the most popular on our app. There are 10 questions along the 60 minute walk and it even suggests that you go off and pick some strawberries along the way. Download the app here or find out more about the walk here. We also have a Tramble in Christ Church Meadow that is well worth trying. Starting off at the Botanical Gardens, which you should pop into, you will make your way into the Meadow answering questions based on what you see. Download the app here or find out more about the walk here. 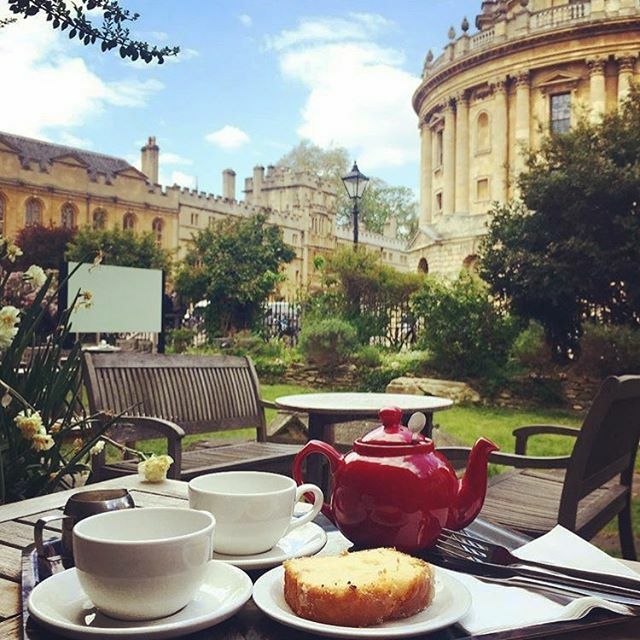 If you do stay more central doing the Christ Church Meadow Tramble, make sure you follow it up with a high tea at the site of the first coffee house in England according to Samuel Pepys’ Diary. The Grand Café is an Oxford institution where you can bask in the opulence of the marble-pillared, historic gold-leafed building. Book ahead here. So we have left Punting until the very end, which is on most people's things to do tick-list in Oxford. The easiest place to pick up a punt is from the Magdalen Bridge Boathouse, although the aforementioned Cherwell Boathouse is a good spot to get one from too. We work on consent only - sign up and opt-in via the second email we send. Thank you - make sure you find the email we just sent you and click yes to subscribe!